Home Biofeedback The Role Of Biofeedback In Promoting Positive Changes In Your Life! The Role Of Biofeedback In Promoting Positive Changes In Your Life! How to control the spontaneous changes and stress in your life? Here is an alternative therapy called biofeedback which helps you a lot in controlling all the aspects of your life. Biofeedback uses the power of your mind to control your body. Biofeedback is considered as a machine that works in the same way as a thermometer or scale. Thermometer can be used to determine if you have a fever. Depending on the temperature you decide how you want to handle it. It is a non-invasive approach and considered as mind-body therapy. There are two key elements involved in the practice of biofeedback, one is monitoring machine and the other is human response. These are very important to its success. For the effectiveness of biofeedback the monitoring system must be able to signal the individual when the body is not functioning as expected. Biofeedback therapy works for those who want to understand and control the aspects of their body which are usually beneath their level of consciousness. 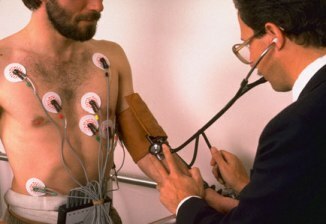 Biofeedback uses techniques and computerized instruments to indentify information about restrained, spontaneous psychological changes within your body such as muscle tension, sweating, increased heart rate and shallow breathing. During the biofeedback session, your practitioner places sensors on different parts of the body to observe your response to stress. This information captured by sensors is supplied back to you by means of visual and audio cues, such as computerized display or a tone that changes frequency. By using this feedback your therapist can help you learn to control your responses to reduce your symptoms such as slowing your breathe to reduce anxiety. The healing usually requires six to twenty sessions depending on your condition. Once you learned you can use the same techniques in your home without any equipment. Biofeedback therapists help you in learning to control the spontaneous responses to promote positive changes in your health, such as fever headaches or low blood pressure. It helps you learn how to listen and control your body. There are exercises and techniques used to adjust your body’s rhythm. Biofeedback helps in you in changing your own brain patterns, the ability to decrease your own blood pressure without the use of prescription medications. Biofeedback can be used to treat many health conditions including anxiety, asthma, backaches, chronic pain, constipation, dangerous rhythms of heartbeat, diabetes, digestive disorders, head injuries, high blood pressure, migraines, reconditioning the muscles, sexual disorders, spinal cord injuries, stress reduction, and teeth grinding. It helps to control involuntary conditions of the nervous and circulatory systems. In order to achieve better results you must stick to restricted eating habits and exercise habits and change your stressful lifestyle. Relaxation is the key in biofeedback, but not yet determined how it works. This is considered as a safe technique and there are no side effects. You must be careful in selecting a practitioner for this type of treatment. Do as much research as possible and know all about the treatment before you start taking it. Previous articleHow To Achieve A Better Health And Fitness With Yoga Therapy! 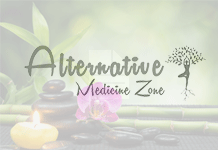 Next articleWhat Is Ayurveda And How Does It Works?